The Denver Kicker Monster Truck Show is adrenaline-charged family entertainment providing jaw-dropping displays and gravity-defying feats that promises to always leave fans entertained. 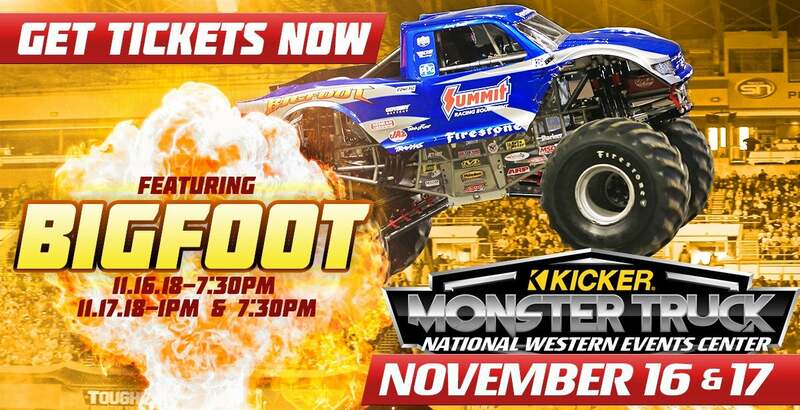 Kicker Monster Truck events feature some of the most recognizable trucks names in the world. Bigfoot, Dragon Slayer, Kamikazee, Wicked, Vendetta, Air Borne Ranger and more are scheduled to attend. Our “top shelf” drivers push these perfectly engineered trucks to their limits in Freestyle, Wheelie and Racing competitions that will put families on the edge of their seats and leave them craving more of this unexpected, unscripted and unforgettable event! Come early and take a ride on a real monster truck. Plus, see all the tuff trucks as these local gladiators take their street legal machines over a man made jump infested course where anything can happen. AND, it keeps getting better, Reptar and Galactron, two "Fire Breathing" robots from the future battling it out for survival. Time for another TicketsWest Player Magnet Giveaway Night! Tomorrow night, catch the @spokanechiefs take on the Portland Winterhawks at the @spokanearena. First 1,000 fans through the gates will receive a magnet featuring a Chiefs player! Additional game details and ticket info is available at TicketsWest.com, TicketsWest outlets, over the phone at 800-325-SEAT, and at the Spokane Arena Box Office. @jimbreuer_official is bringing his stand up comedy to Spokane! Catch him live at the @bingcrosbytheater on Saturday, February 9th. Tickets are on sale now over the phone at 800-325-SEAT, at BingCrosbyTheater.com and at TicketsWest.com! Just announced! @joerussosalmostdead will be live at the @thecuthbert in May, 2019 for their ONLY Oregon show this summer! Tickets go on sale tomorrow, Friday 11/16 at 10am, but you can get your tickets right now! 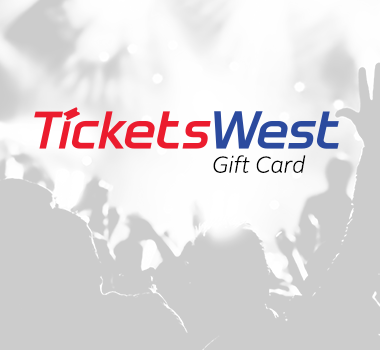 Check our story for the presale keyword and enter that (before 10pm) in the top right corner of the event page at TicketsWest.com to get your tickets! It's that time again for the annual Holiday Express Train! Hop on the train as it takes off from @oaksamusementpark along the Springwater Corridor in Portland, OR. Take a scenic ride, see Santa, and watch the steam engine light up at night. It's fun for the whole family! Tickets available online and at all TicketsWest outlets! @johnlegend is stopping in Portland on his A Legendary Christmas Tour! He will be performing live on December 19th at the Arlene Schnitzer Concert Hall for 1 night only. These tickets will go fast so be sure to get them early! Tickets go on sale THIS Friday 10/05 at 10:00am. Tickets available online at TicketsWest.com, at TicketsWest outlets, and the @portland_5 Box Office. Mickey & Minnie are bringing the Disney magic to life with a fast-paced, fun, live experience that will immerse fans of all ages! Come see the stories of Moana, Frozen, Beauty and the Beast, Tangled, and Cinderella in @disneyonice Dare to Dream at the @spokanearena October 18-21! Tickets are on sale now at TicketsWest.com, Spokane Arena Box Office, and all TicketsWest outlets!